​Liverpool midfielder James Milner has claimed that his side's attackers were impossible to contain during the Reds' 3-0 victory over Bournemouth on Saturday. Sadio Mane opened the scoring for Jurgen Klopp's side, before a composed chip from Georginio Wijnaldum doubled their lead. Liverpool looked incredibly comfortable against the Cherries, before Roberto Firmino and Mohamed Salah combined to net the Egyptian's 17th goal of the season and send Liverpool back to the top of the Premier League. 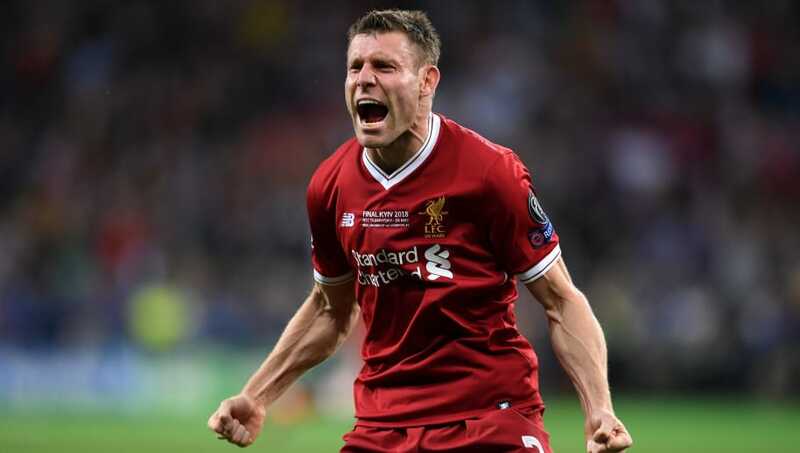 Speaking to the club's ​official website after the game, ​Milner praised ​Liverpool's attacking performance during the game. He said: "It was a better performance. There was more energy and more counter-pressing, which was good. We created some chances. "In the second half, maybe we came off the gas slightly, but we were still creating chances going forward and could have had more. "But maybe the defensive side wasn’t as good and that allowed them to have a few chances. But all in all, I think it says a lot about the squad. The preparation was disrupted again with a few illnesses and things like that, so it shows the character within the squad and the quality that’s there as well. "We started the game really well and the crowd set the tempo as well. They were brilliant from the start, even in the warm-up. There was just a different feel around the whole place and that’s what we want. We are all in it together, that unity. "That’s everyone at Melwood and everyone in the squad, at the club and the fans as well. They did their job and we managed to do ours – 3-0 and hopefully we can keep that going. "The front three were brilliant all day. Some of their link-up play was impossible to defend: the movement, the understanding, the one-touch play. "Probably the only disappointing thing is we didn’t score more. But we’re pleased to get a clean sheet and to get the three points was the main thing, obviously." The result propelled Liverpool back to the top of the ​Premier League, reestablishing their three-point lead over ​Manchester City. However, Pep Guardiola's side can move back to the top of the table with victory over ​Chelsea on Sunday.